Stanimire (Stan) Tomov, Ph.D., is a Research Director in the Innovative Computing Laboratory (ICL) and Research Assistant Professor in the Electrical Engineering and Computer Science Department at the University of Tennessee, Knoxville. Tomov's research interests are in parallel algorithms, numerical analysis, and high-performance scientific computing (HPC). He has been involved in the development of numerical algorithms and software tools in a variety of fields ranging from scientific visualization and data mining to accurate and efficient numerical solution of PDEs. Currently, his work is concentrated on the development of numerical linear algebra libraries for emerging architectures for HPC, such as heterogeneous multicore processors, graphics processing units (GPUs), and Many Integrated Core (MIC) architectures. In particular, he is leading the development of the Matrix Algebra on GPU and Multicore Architectures (MAGMA) libraries, targeting to provide LAPACK/ScaLAPACK functionality on the next-generation of architectures. 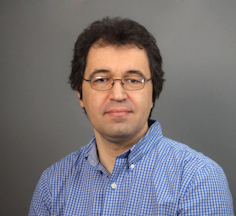 Tomov is also a Principal Investigator of the CUDA Center of Excellence (CCOE) at UTK, and Co-PI of the Intel Parallel Computing Center (IPCC) at ICL. Tomov received a Master of Science in Computer Science from Sofia University, St. Kliment Ohridski, Bulgaria in 1994 and a Ph.D. in Mathematics from Texas A&M University in 2002. He worked at the Brookhaven National Laboratory before joining ICL in 2004.